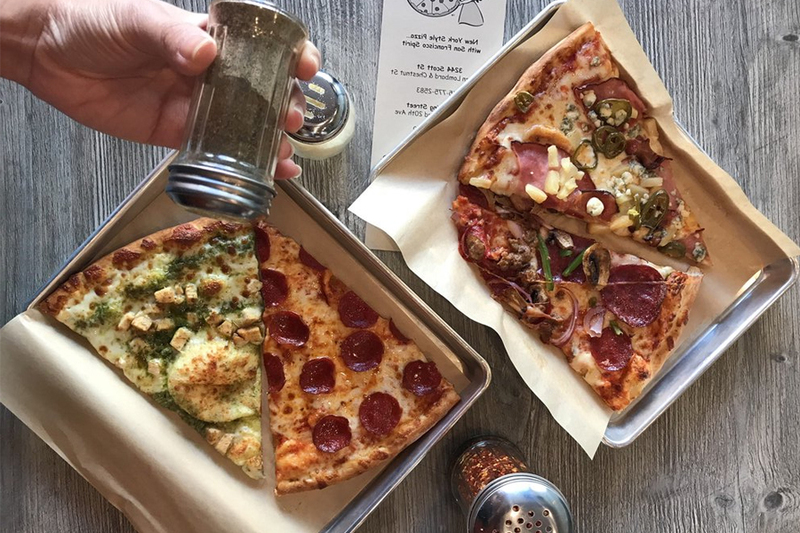 Nothing beats pizza--and if you're in the mood for the freshest new slices in San Francisco, we've found a lineup of places that will excite your appetite. Here are the newest places to check out the next time you're craving a pie. The expanded space features additional seating, more televisions and 10 beers on tap. With hours until 2 a.m. on Friday and Saturday, you can drop by after hitting a local bar to grab a slice of arugula-pear pizza with blue cheese and mozzarella; classic pepperoni with mushrooms; or the San Francisco, with pepperoni, ham, olives, feta and ground beef. Yelp users are generally positive about Hole in the Wall, which currently holds 3.5 stars out of 26 reviews on the site. Paul B. noted, "Excellent (re)addition to the neighborhood! We finally have a family-friendly pizza/salad/pasta restaurant on Irving near 19th, and it is very good. The staff are all friendly and the food is awesome." Ida H. added, "The location is spacious and divided into two parts. The first part is where you order and see the employees make the pizza, fresh and in front of you. The second part is strictly for dining -- it's spacious, well designed, has great decor and amazing natural lighting for your food pics!" SF Hole in the Wall Pizza is open from 3 p.m.-11 p.m. on Monday and Tuesday, 11 a.m.-1 a.m. on Wednesday, Thursday and Sunday and 11 a.m.-2 a.m. on Friday and Saturday. 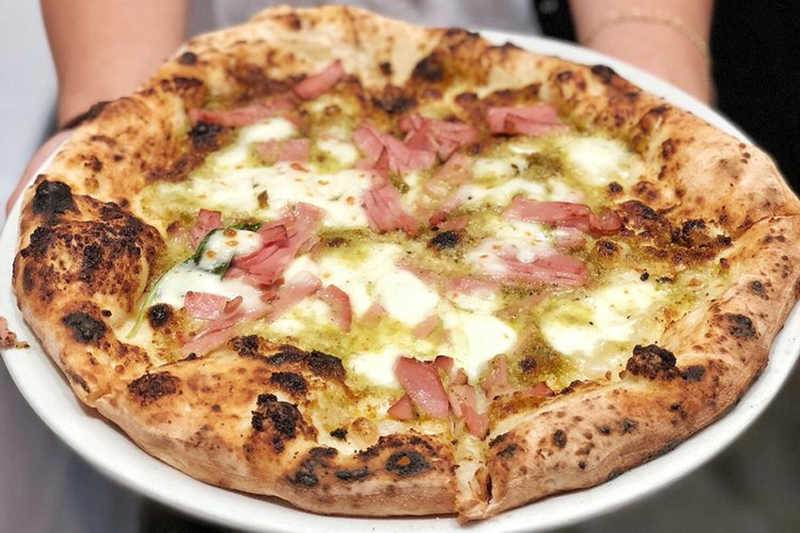 Neapolitan pizzeria Doppio Zero has debuted its third location in Hayes Valley; the others are in Mountain View and Cupertino. Its menu consists of eight red and seven white pies, along with appetizers, salads, sandwiches and pastas. Visitors can sample a classic margherita; the carne pie, made with Spanish chorizo and Italian sausage; or the capricciosa, made with ham, Italian salami and artichokes. Or try the namesake Doppio Zero: made with burrata, prosciutto di parma, arugula, shaved Parmigiano-Reggiano and extra virgin olive oil. Yelp users are generally positive about Doppio Zero, which currently holds four stars out of 18 reviews on the site. Yelper Matt L., who reviewed Doppio Zero on September 12, wrote, "The pizza was perhaps the best I've had in San Francisco. We had two dishes: the ragu and a pizza. The ragu was solid, but nothing to write home about. However, the pizza was incredible! The taste of the dough (hence the name of this place) was very rich in flavor, sweet, perfectly crispy and also soft where it needed to be." 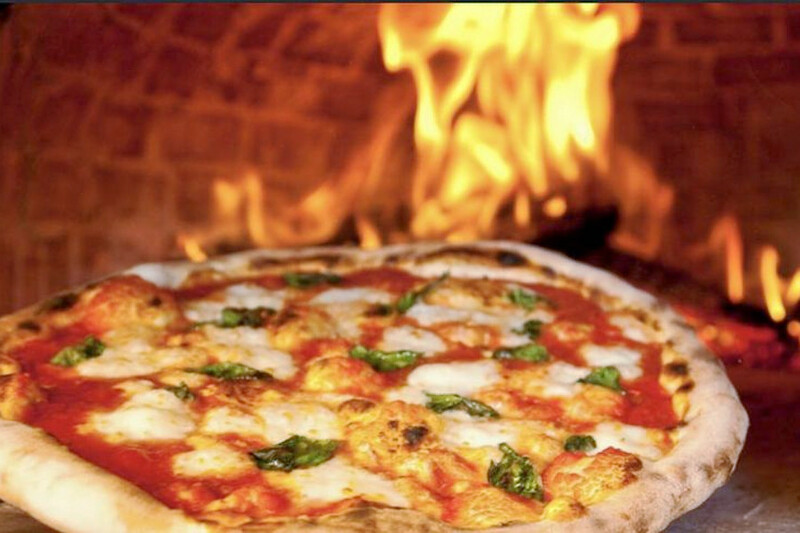 Austin W. noted, "I visited Doppio Zero tonight with a group of friends and we ordered three pizzas: the margherita, funghi and the pistachio. Margherita was my favorite. My second favorite was the funghi -- very generous with the amount of mushrooms topping the pizza, and if I tasted things correctly, just the right amount of truffle oil to round things off." Doppio Zero is open from 11:30 a.m.-3 p.m. and 5 p.m.-10 p.m. from Monday- Thursday and Sunday and 11:30 a.m.-3 p.m. and 5 p.m.-11 p.m. on Friday and Saturday. 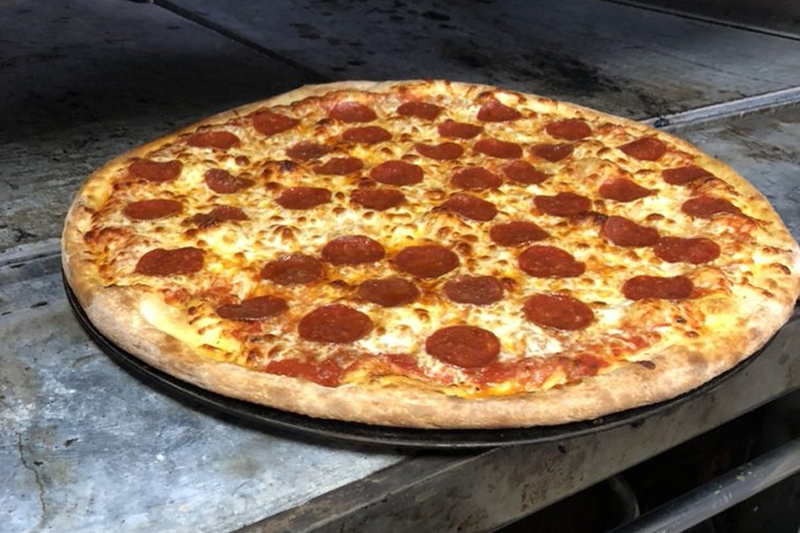 At casual delivery joint Red's Pizzeria, visitors can expect unusual toppings like bananas and honey or strawberries and Nutella, along with the usual savory selections like pepperoni, Hawaiian, veggie, combo and custom options. For those who aren't in the mood for pizza, burgers, hot subs and calzones are offered, as well as pasta standbys like spaghetti and meatballs, lasagna and cheese ravioli. The establishment also offers some Brazilian-style daily specials. Red's Pizzeria currently holds 4.5 stars out of 16 reviews on Yelp, indicating good reviews. Yelper Jazzica D. wrote, "Pretty much everything you need from a pizza delivery. Ordered a small pie of pepperoni, sausage, and basil. Pizza came darn near piping hot and earlier than expected! Pizza was tasty, greasy (in a good way), and savory." Marc C. added, "I had the special of the day, which was oxtail, and dang was that good! The meat was so tender and the flavor was perfect." Red's Pizzeria is open from 10 a.m.-11 p.m. on Monday-Thursday and Sunday and 10 a.m.-midnight on Friday and Saturday.